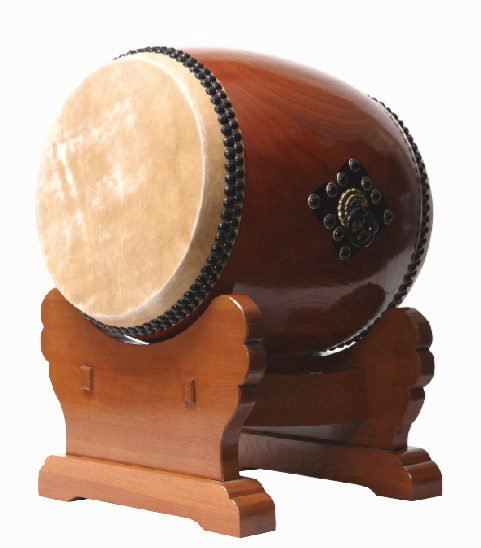 Nagadou Daiko (meaning "long-bodied drum") is the most popular type of wadaiko, on which leather is riveted directly onto a hollowed body. 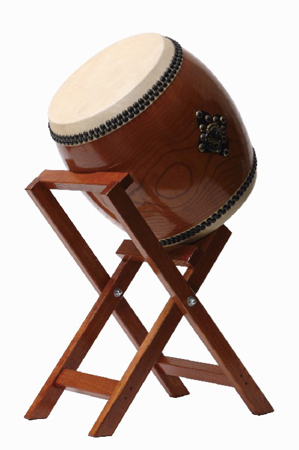 With a distinguished tone and volume, and an appearance to match, Nagadou Daiko is a central figure in ensemble performances. 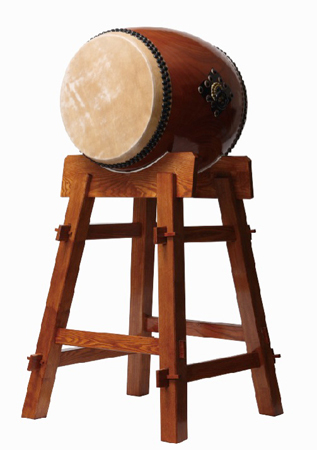 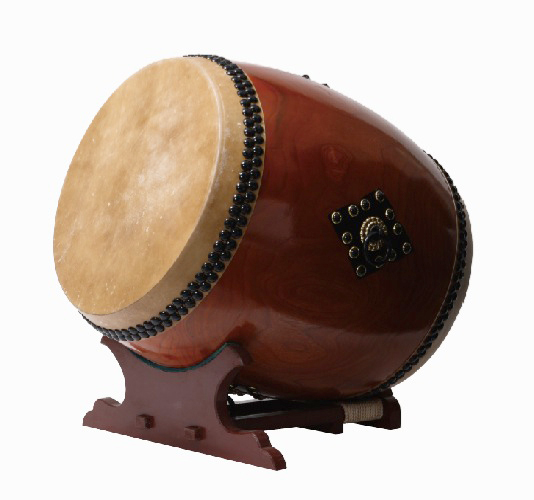 The diameter of a Nagadou Daiko is usually between 1 to 2 shaku (30 to 60 cm), but may be as large as 6 shaku (approx. 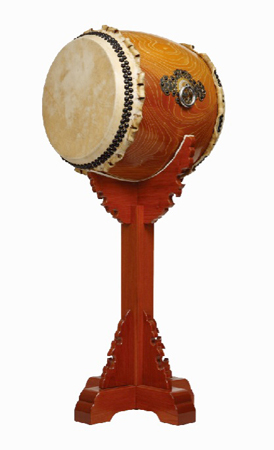 180 cm). 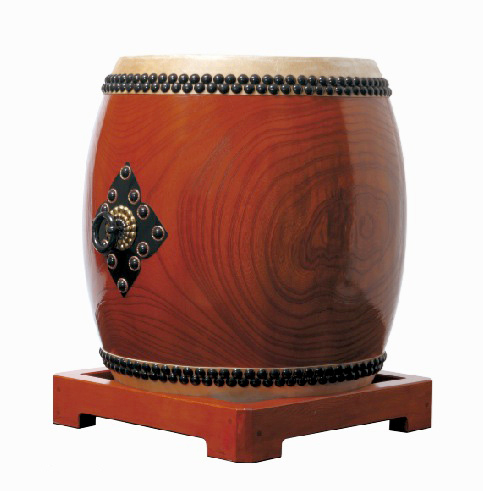 For the body, keyaki (Japanese Zelkova) is the wood of choice due to its density and beautiful grain, but a number of other woods (collectively referred to as "meari") are also used. 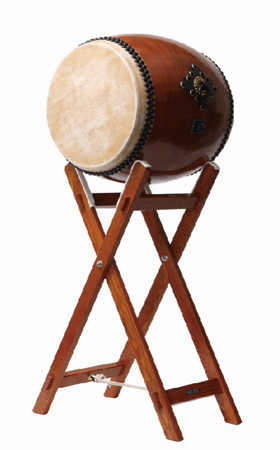 When selecting a Nagadou Daiko as a member of an ensemble, you should select its size to balance the rest of the ensemble. 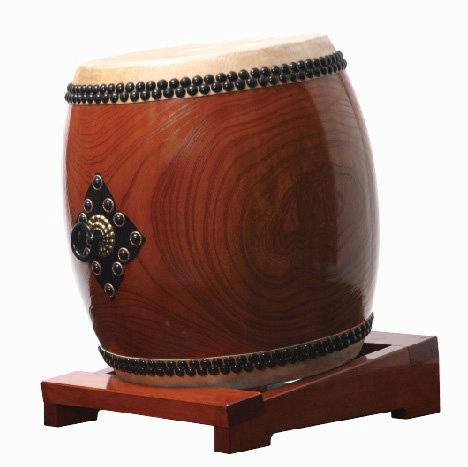 Consult your ensemble leader to decide on the size, the leather tension, and the stand. 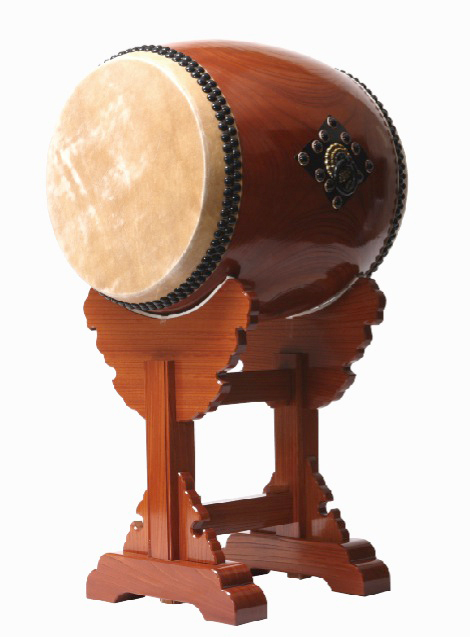 A decision based solely on your budget may lead you to an instrument that has little or no use within your ensemble.